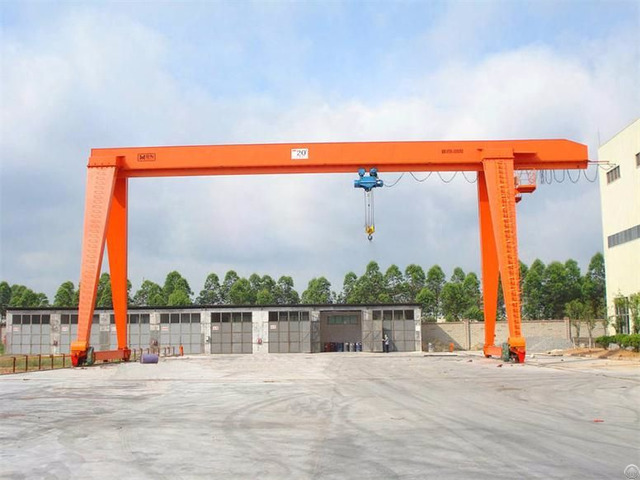 MH Type Electric Single-girder Gantry Crane forms a complete set with electric hoist. The surface of facing wind is very small, because of its steel-piping leg. 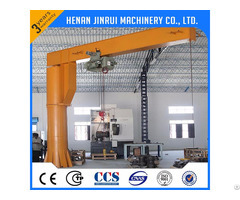 It is the best light crane, which is used both in multi-wind area and workshop. It also has ground-controlling and emote-controlling. Lifting capacity is 2-20t(Gn), and the span is 10-30m, working system is 25% and ambient temperature no more than 40°C. Wind pressure is lsee than 125pa. Whole length CNC cutting for complete web plate, high deflection accuracy. High quality automatic welding and NDT inspection..
Shot-blasting Sa2.5 for complete girder after welding, stress release. Epoxy zinc rich high quality painting, 2x2 with 140μm. 10.9 class High tension bolts mounting between girder and legs, life time safe connection. Double flanged or flat wheels, anti-friction bearings, cellular buffers, derailment protectors. Fulllength service platform along the crane bridge is supplied, where it is equipped with protective hand railing and toe strips. Lifting capacity is 5 ton to 32 ton. Span is 7.5m to 30.5m. Lifting height is 6m, 9m, 12m, etc. Working temperature is -25°C to + 40°C. Used together with CD MD model electric hoist. Lifting capacity is 5 to 20 ton. Working temperature is -20°C to + 40°C. Appication: used at open or room ground and warehouses, yards etc. Control: ground controlling and room controlling. 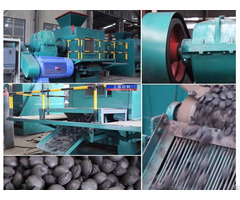 Application: used both in multi-wind area and workshop for inside and outside. Composed of metal structure, cart operating mechanism, electric device and trolley (electric hoist). Control model: ground-controlling and remote-controlling. 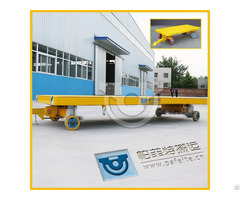 Application: it could be used in outdoor or indoor warehouse for loading and unloading. Features: saving the investment and space, reasonable structure, favorable performance, easy installation, reliable traveling etc. Working temperature within -25 to 40°C. Features: compact in frame, light in weight, steady in performance and facilitated in operation. Business Description: Henan Jinrui Machinery Co., Ltd. is located in the hometown of Chinese crane - Henan Xinxiang. Specializing in electric hoist, single or double beam crane, overhead or gantry five series of 80 varieties of cranes manufacture, export and install. We have been this field many years, we can supply the crane which lifting capacity is from 0.25t-900t. Because of strict management system, strong production capacity and advanced testing means, our company won department, provincial and municipal quality management standards enterprises, the contract and trustworthy enterprises, the quality of trust enterprise, technologically advanced enterprise etc. many times. Our company provides production consulting, design, manufacture, automation control, installation and construction management services. Over these years, we have been exported to South Africa, Australia, Malaysia, Argentina, Bangladesh, Singapore, Pakistan, and won warmly acclaim and attention. Quality and integrity determines the future of an enterprise. We always dedicate to providing users with excellent products according to the quality, quantity and timely completion, and fulfilling contracts and agreements seriously.Your ideal is always our company's pursuit.Thank you for your attention!